Prevention is Key to Survival. SERVPRO of Woodland Hills Fire Tips. SERVPRO of Woodland Hills - sharing important fire safety information for you and your loved ones. Taking these precautionary measures can drastically reduce the risk of fire, injury, property loss, and even death. Fire safety is an important topic, especially for children, the elderly and individuals with special needs. A fire can destroy everything in its path and devastate the people and communities it affects. Prevention – Does your home have working smoke and carbon monoxide detectors? Are the batteries changed and the detectors tested twice a year? Is there a fire extinguisher? Can you operate a fire extinguisher? Escape Routes – Are exits accessible? Are the pathways to the exits free from clutter and obstacles? Is there an evacuation plan in place? Are there pets that might need to be rescued? Treasures – Keep valuables, special keepsakes and heirlooms (e.g., jewelry, photos, collectibles) in a fire proof safe or off site in a safe deposit box. Hoarding – Consider how excess accumulation might make it difficult for people to leave their home/possessions and how many items might help fuel the fire. Don't enter any water damaged areas without conducting a thorough safety check. It may not be safe for you to enter or remain in the building. • Water damage can weaken the structure of the building. If the ceilings are sagging, stay out. • Be sure the electricity has been shut off. Submerged electrical appliances and electronics can cause electrical shock. Remove standing water, use towels to soak up smaller pools of water on furniture, counters, and other surfaces. 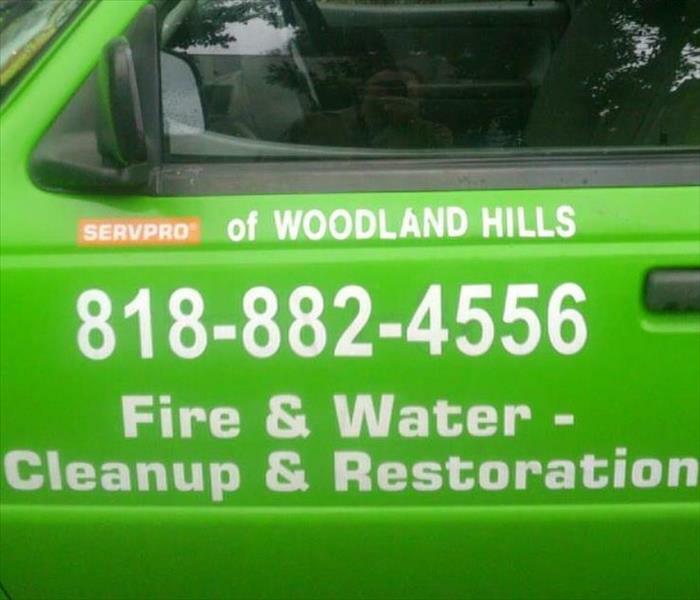 If the area is flooded with more than a foot or two of water, wait for a professional water damage remediation team like SERVPRO of Woodland Hills to arrive. Remove area rugs from and spread them outside to dry. Place aluminum foil or wood blocks under furniture legs to prevent carpet stains. When wood furniture is exposed to excessive moisture, the stain can transfer to the carpet leaving permanent marks. Remove smaller items such as books, toys, chairs, and other objects from the area. When in doubt you can always call your local SERVPRO for advice or a free inspection to help you and your property get back to "Like it never even happened." SERVPRO of Woodland Hills can help get you through this. Molds grow by digesting and destroying the material they grow on. They can be found almost anywhere and can grow on just about any material as long as conditions are favorable. Mold needs oxygen, moisture, and a material to grow on. Molds reproduce by making spores. These spores become airborne. If spores land on suitable material and conditions are favorable, the mold will begin to grow. Even though molds are everywhere, they may become a problem when they begin to grow indoors. Many building materials such as drywall, ceiling tiles and wood framing contain cellulose, which is a material on which molds can grow. As molds grow on building materials they may become destructive. 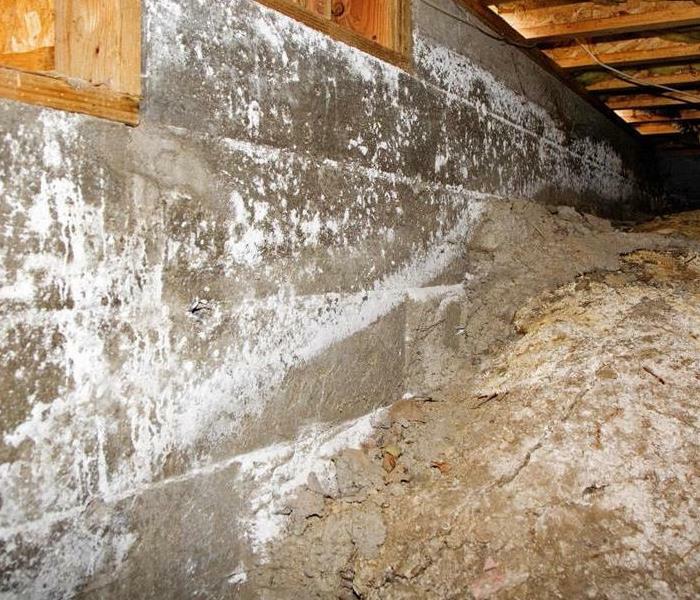 Molds may grow unnoticed, above ceilings, behind walls, in attics and basements or in crawl spaces. Molds can cause staining of walls and ceilings and can begin to break down the studs and joists of buildings causing extensive property damage. Excessive moisture is a key ingredient which causes molds to grow. Sources of excess moisture may be plumbing leaks, leaking roofs or windows, high humidity, flooding, or condensation inside walls due to poor insulation. SERVPRO of Woodland Hills has 24 years of Mold Remediation experience and knows exactly how to help get mold under control. We provide a copy of your contract in case a problem occurs and we stand by our work. 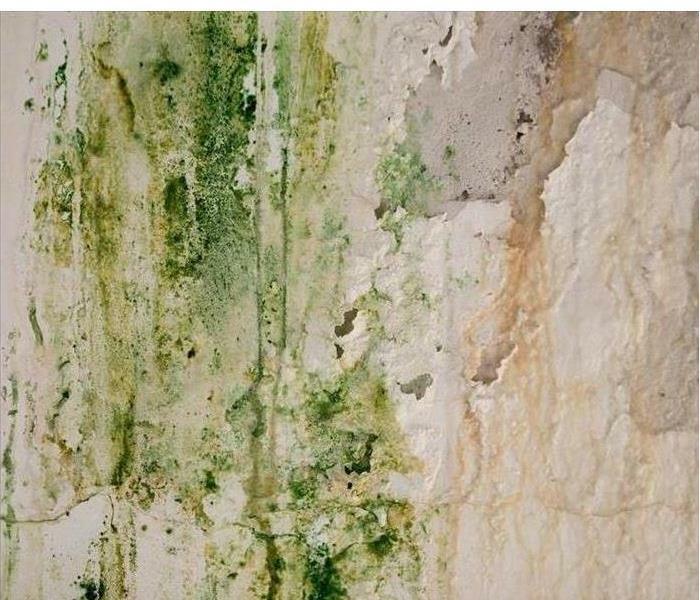 SERVPRO knows what insurance companies require you to do following a mold loss. 1-4-8-Response time. this is is crucial to preventing further mold damage. Any delay can lead to a much more costly recovery. 23 years of family owned and operated business helps to ensure customer satisfaction! Why SERVPRO in a Storm? 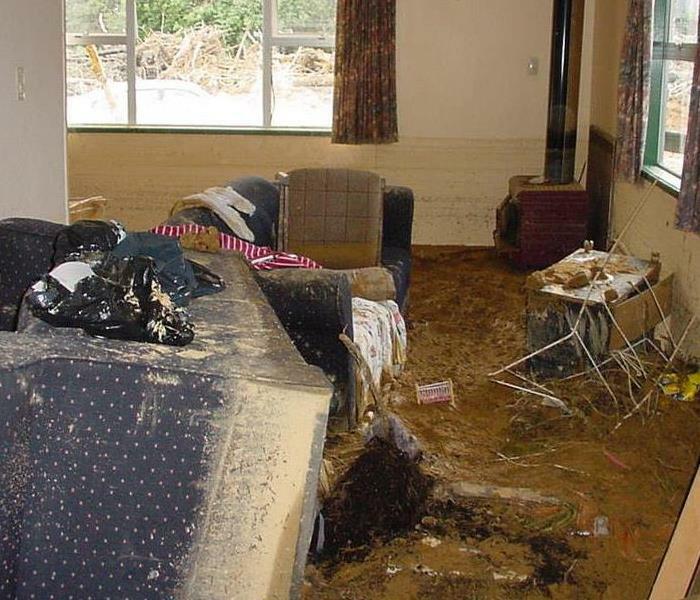 Flooding and water damage usually can refer to a large range of loss types resulting from water intrusion from the ground or roof of a building. This kind of damage is devastating and much of your property, business, or home, can be ruined. Regardless of the extent of damage, speed, or duration of its occurrence, the storm can result in ownership and possession loss. 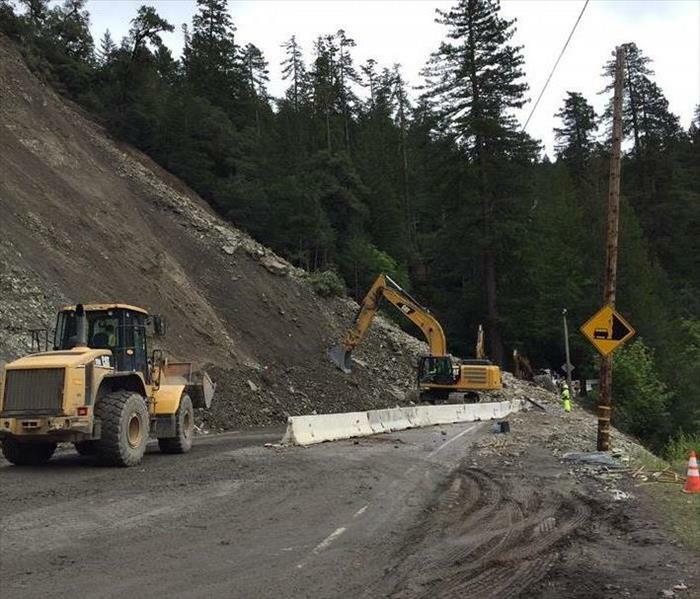 Storms, heavy rains, mudslides, and severe climate can leave massive losses to a community like Los Angeles County. This is why proper damage restoration should be a must. If you wish to live a stress-free life despite an unfortunate event like flooding, you need to hire the best restoration company SERVPRO. Professional restoration companies are highly skilled and trained, and know the entire process to get your home back. You can trust that 23 years of experience will get you back on track in no time. Well equipped to handle any size disaster. Did you know that there are two types of water damage? Yes, there are 2 ways water can get into your home or business. From the top and from the bottom. If it infiltrates the property from the roof it is usually from faulty shingles or gutters that were not cleaned. Please clean your gutters! It is definitely an inconvenience but, fortunately, it is usually covered by your insurance policy. If it enters from the base of the property it is called groundwater infiltration and this type of water damage is most likely not going to be covered. But the damage needs to be cleaned up as soon as possible. Remove the standing water by using a wet/dry vacuum, mopping it up, or using a sump pump. If you have fans, bring them in to move the air around and dry out the space. Hint: If there is any evidence of mold, do not use the fans since this will spread the spores. If the water level can be measured in inches you need to call in a professional. 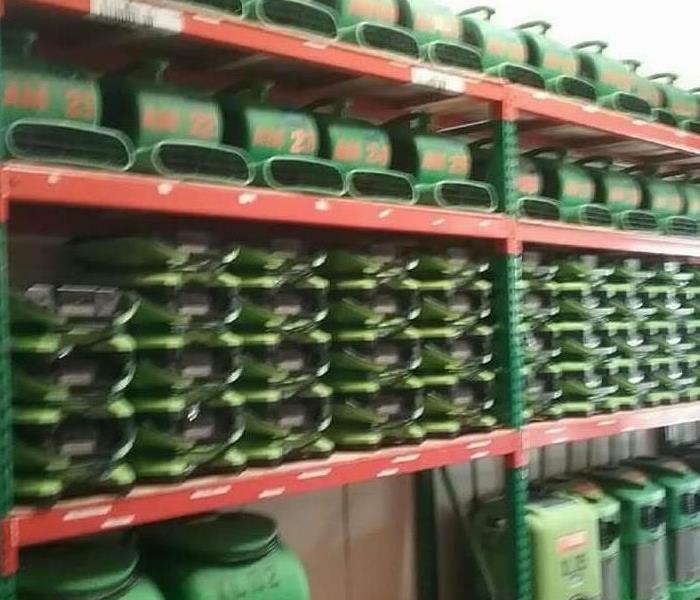 The water remediation professionals at SERVPRO of Woodland Hills have the knowledge, experience, and equipment to make it, “Like it never even happened. Look around. Lawn furniture, toys, tables, and chairs should be brought inside or stored away. Secure your grill. Remove any solar-powered ground lights. Ground lights that are hard-wired can be left in the ground. Wrap burlap around ornamental trees or fragile bushes. You can also stake and string trees and bushes. Take in any window air conditioners. Remember, electricity and water are a deadly combination. If you have to walk through water to turn off the circuit breaker, consider calling your power company to shut off the power. If you are unsure of the best and safest way to shut off the power, call your local fire department. To mitigate any further damage to your valuables, raise any items up off of the floor and out of the water. If the roof has incurred any damage, immediately call SERVPRO to cover it with a tarp. If a window has been broken, immediately call SERVPRO to board it up. Check on neighbors—especially the elderly—to make sure they are safe. Don't let your pet be unprepared. Did you know that almost all dog and cat owners don't have disaster plans for their pets? 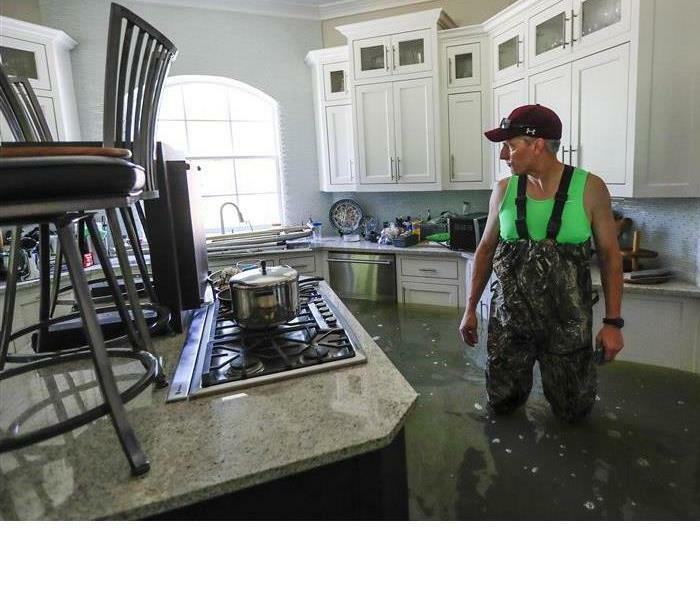 SERVPRO of Woodland Hills urges you to make sure this isn’t you. You made a disaster kit for yourself and family, so make one for your pet. This includes medical records and medication, food and water with can openers, leashes, and carriers. Keep pets inside during a storm. 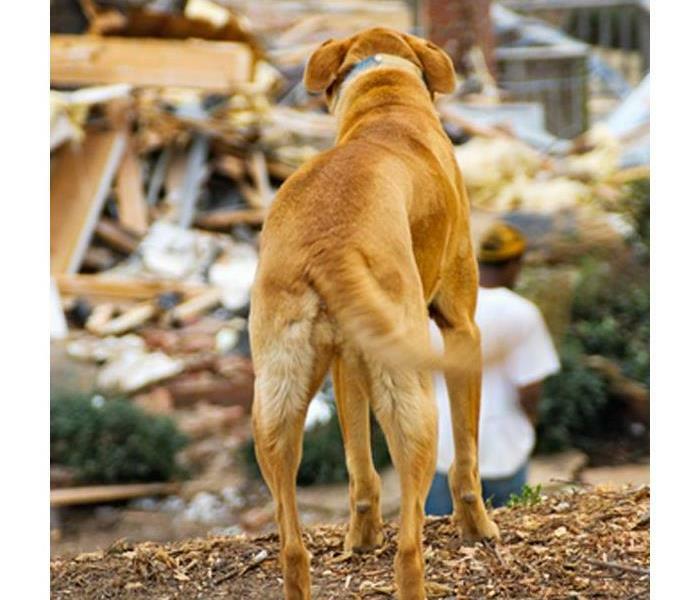 Animals can become confused and run away from home during a disaster. Arrange a safe haven for you and your pets during evacuation. Do not leave pets behind. Store an emergency kit—with items such as pet food, bottled water, medical records, a blanket, a flashlight and leashes—as close to an exit as possible. Make sure all pets wear collars and tags. Have your pet microchipped in case of a lost collar. Place a rescue alert sticker to your front home to let rescuers know that there are pets inside. 24 hour emergency services guaranteed! Many fires in the home and workplace can be prevented. The following tips can help reduce the likelihood of a fire in your business or home. 1. Watch your cooking- Stay in the kitchen if you are frying, grilling, or broiling food. Never allow young children around the stove or oven, especially if they are not closely attended. 2. Give space heaters space- Keep space heaters at least three feet from anything that can burn. 3. Smoke outside- If you must smoke inside, have sturdy, deep ashtray. Never smoke in bed. 4. Keep matches and lighters out of reach- Keep matches and lighters in high cabinets, preferably under a child lock. 5. Inspect electrical cords- Replace cords that are cracked, damaged, have broken plugs or have loose connections. 6. Be careful when using candles - Keep candles at least one foot from anything that can burn. Blow them out before you leave the room or go to sleep. 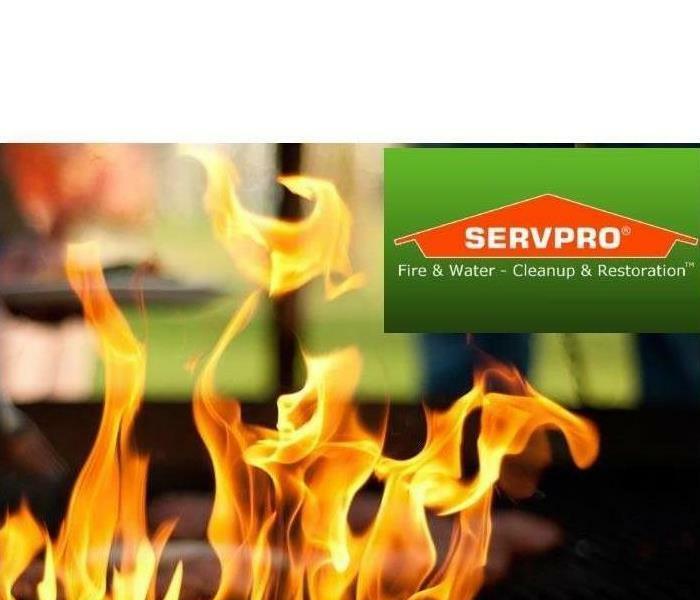 Call SERVPRO 24/7/365 if you have a fire, water damage, mold, or cleaning emergency. SERVPRO of Woodland Hills helping you plan a way out of a fire. A flame can quickly grow out of control and turn into a large, uncontrollable fire in less than 30 seconds, it’s vital for you to establish and plan your family’s fire escape plan. Remember, building your family’s fire escape plan can keep your family safe! Fires are the most common disaster in the nation, so when a fire happens, there is no time to waste. A fire escape plan can help ensure that your family evacuates quickly and safely through routes that are pre-planned discussed and practiced. Install smoke alarms in every bedroom, and on every level of your house. Test each alarm monthly and change batteries at least once a year. Draw a floor plan of your home, marking ways out of every room. It’s important to make sure that all family members know how to open doors and window locks. Also, if you have security bars, they should have a quick-release feature that can be operated from the inside. If your house has two or more floors, place escape ladders in or near windows to provide an escape route. If you live in an apartment, never use the elevator to escape, use the stairs. Set a plan in advance for who will help the very young, elderly, or physically challenged members of your family. Roll out of bed onto the floor. Stay low beneath the smoke and crawl to the door. Check the door for heat with the back of the hand. If the door is cool, then open it slowly and check to see if it’s safe to crawl to the nearest exit. If the door is hot, don’t open it! Instead, place a towel or blanket across the bottom of the door to keep smoke out and crawl to the nearest window to exit the house. Choose an outside meeting place a safe distance (more than 300 feet away) from your home and make sure everyone knows to meet at this location after they escape the burning house. Once everyone is safely at the designated meeting spot, call your local fire department from a friend or neighbor’s house. Under no circumstances should you re-enter your house. Once you are out of the burning house, stay out until a fire official gives you permission to re-enter the house. Practice your family’s fire escape plan at least once every six months. It’s important to practice it during the day and during the night and make the fire drill as realistic as possible. 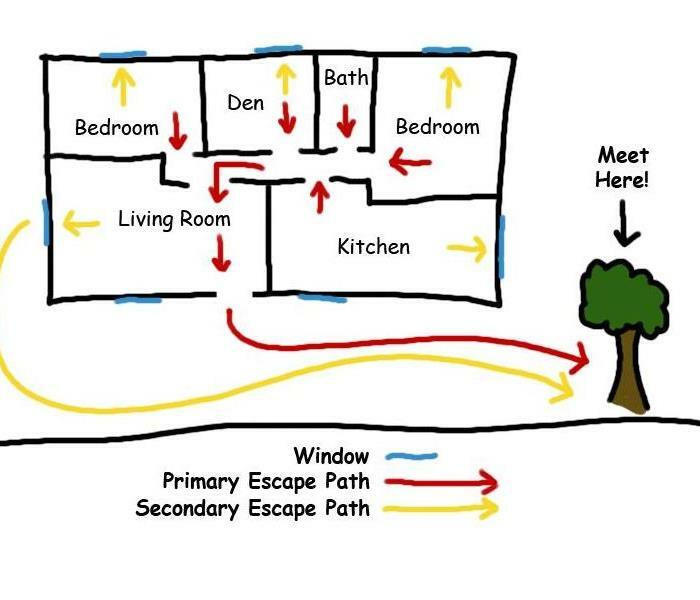 Be sure to practice all escape routes to ensure all household members know how to escape safely. 10/15/2018 - Why SERVPRO in a Storm? 10/11/2018 - Are You Ready for a Storm?